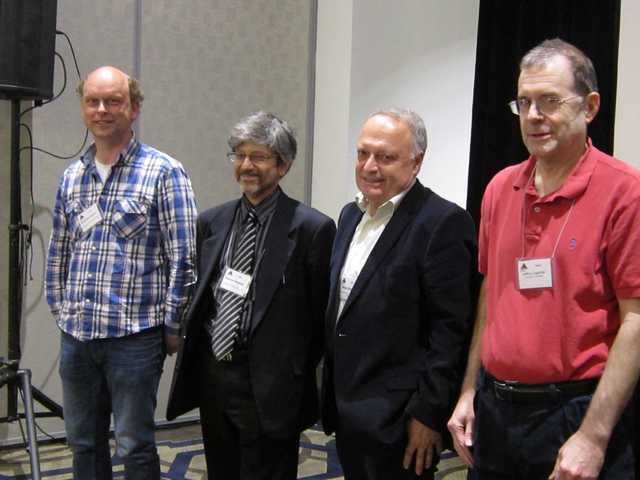 The 2016 conference on Mathematical Aspects of Materials Science organised by the Society for Industrial and Applied Mathematics (SIAM) included a rich program program about Mathematical Crystallography. See also the blog Crystal Mathematician. Jean-Guillaume Eon, Gregory McColm, Marjorie Senechal, Mike Krajcevski. 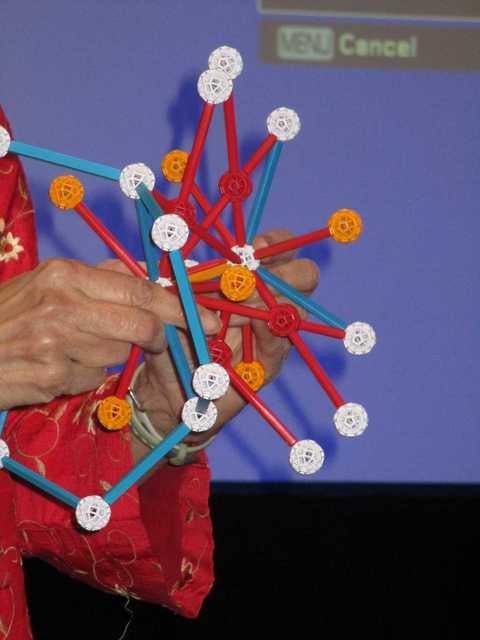 Mathematical Crystallography I. Tilings, Packings, Graphs, and Other Discrete Models. 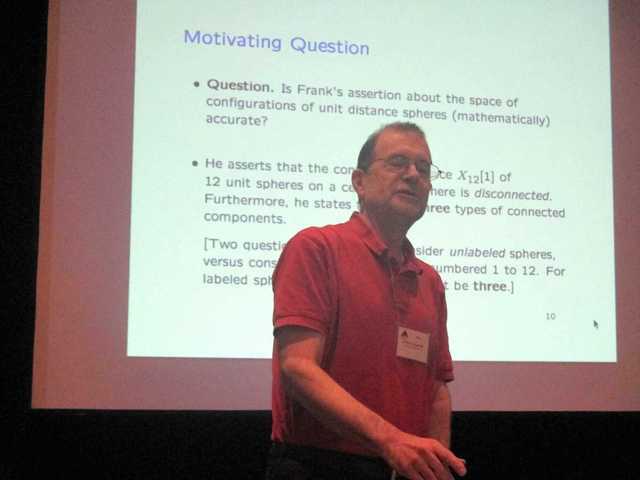 Ciprian S. Borcea: Auxetics and Spectrahedra. 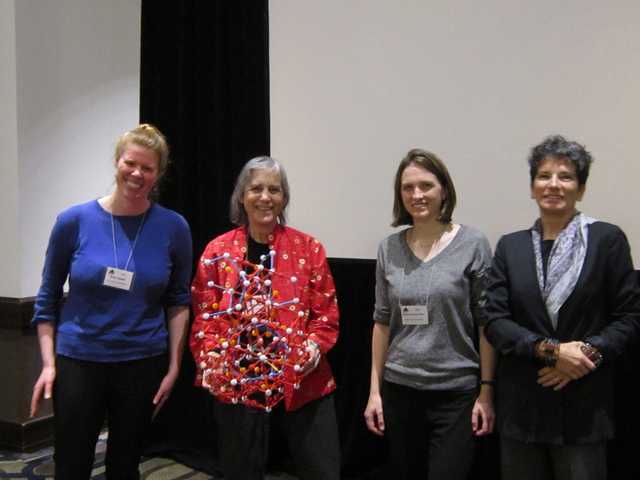 Mathematical Crystallography I. Tilings, Packings, Graphs, and Other Discrete Models. Ma. 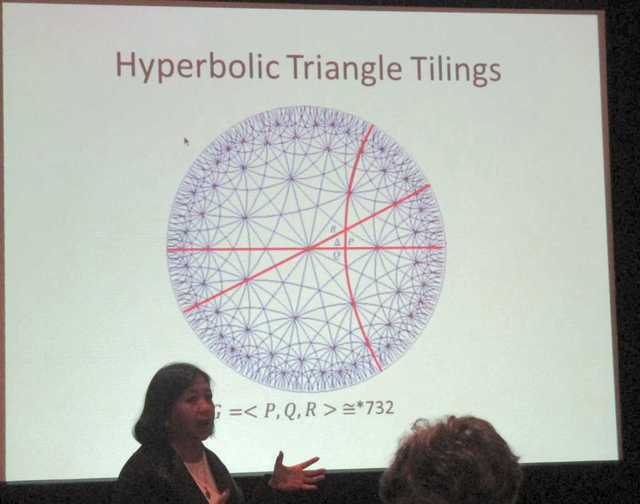 Louise N. de las Penas: On Algebraic and Geometric Properties of Hyperbolic Tilings. Mathematical Crystallography I. Tilings, Packings, Graphs, and Other Discrete Models. 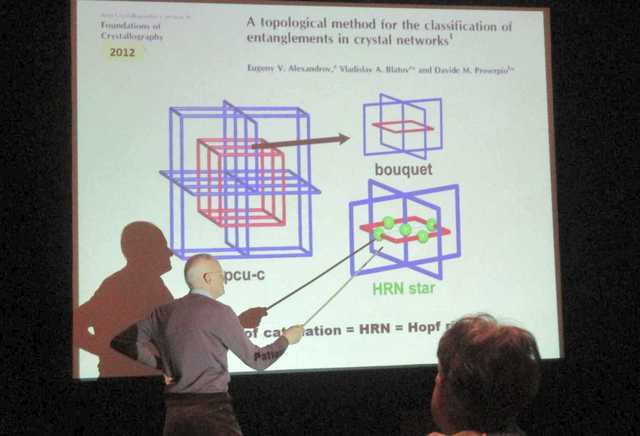 Davide Proserpio: Entanglement in 2-Periodic Coordination Networks. Mathematical Crystallography I. Tilings, Packings, Graphs, and Other Discrete Models. 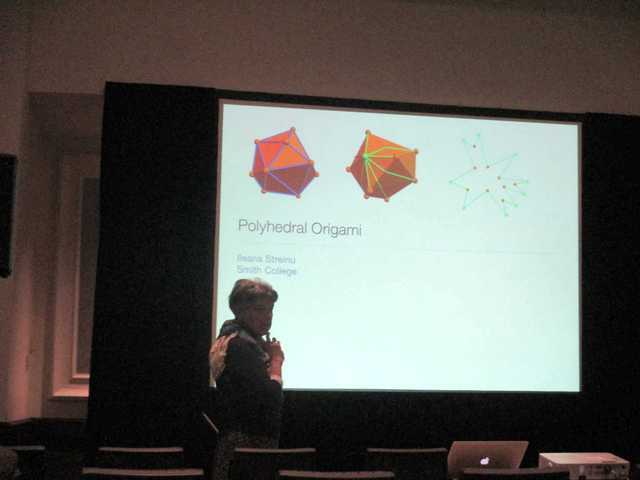 Ileana Streinu: Polyhedral Origami. 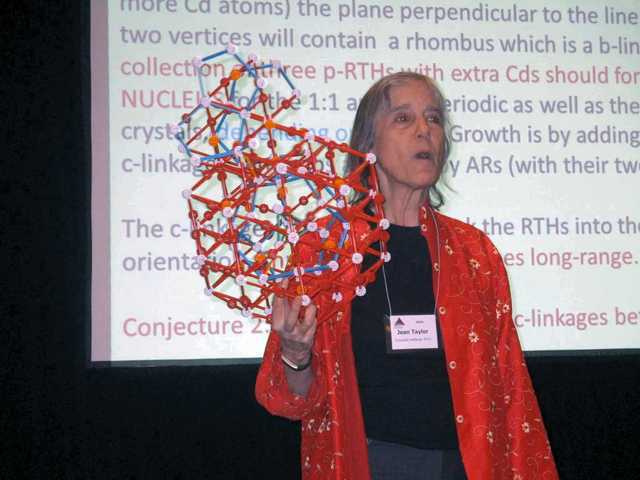 Mathematical Crystallography I. Tilings, Packings, Graphs, and Other Discrete Models. Davide Proserpio, Ileana Streinu, Ma. Louise N. de la Pena, Ciprian S. Borcea, Gregory McColm. Mathematical Crystallography II. Polyhedra, Cluster Models, and Assembly. Erin Teich, Jean Taylor, Miranda Holmes-Cerfon, Natasha Jonoska. Mathematical Crystallography II. Polyhedra, Cluster Models, and Assembly. 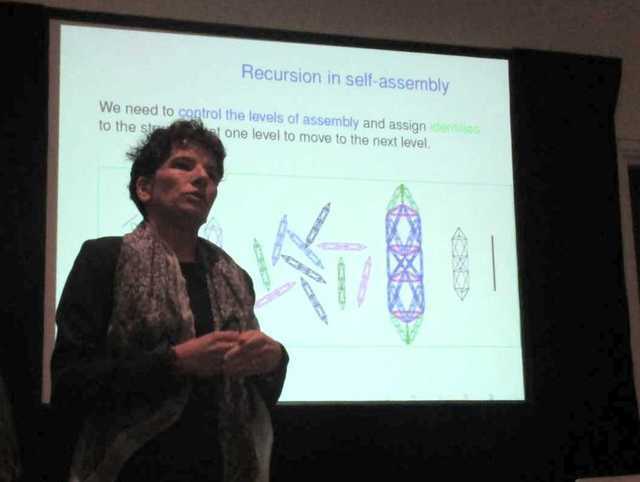 Natasha Jonoska: Algorithmic Self-Assembly and Self-Similar Structures. Mathematical Crystallography II. Polyhedra, Cluster Models, and Assembly. 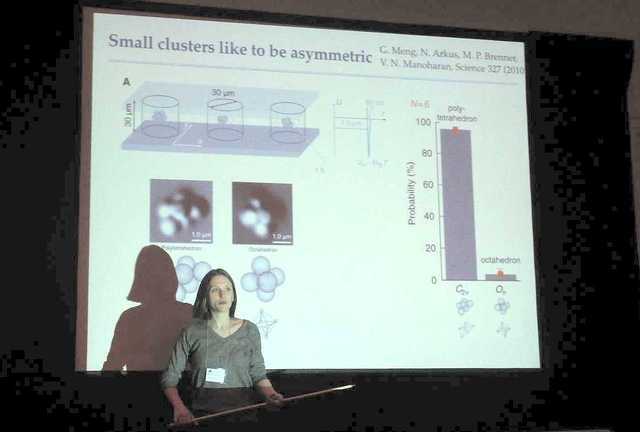 Miranda Holmes-Cerfon: The Statistical Mechanics of Singular Sphere Packings. Mathematical Crystallography II. Polyhedra, Cluster Models, and Assembly. 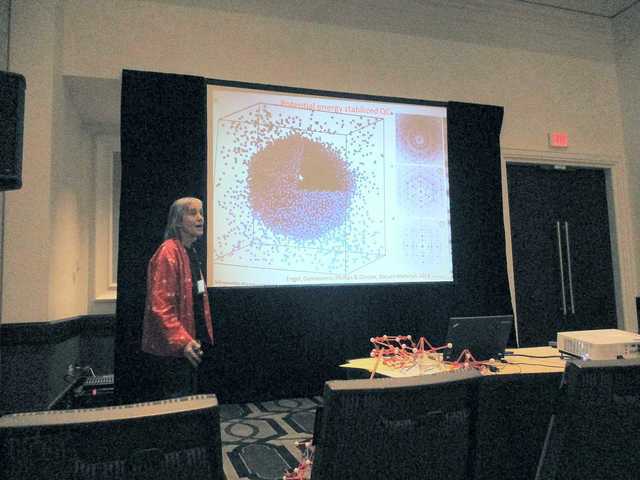 Jean Taylor: What Role for Entropy in Stability and Growth of Quasicrystals? Mathematical Crystallography II. Polyhedra, Cluster Models, and Assembly. 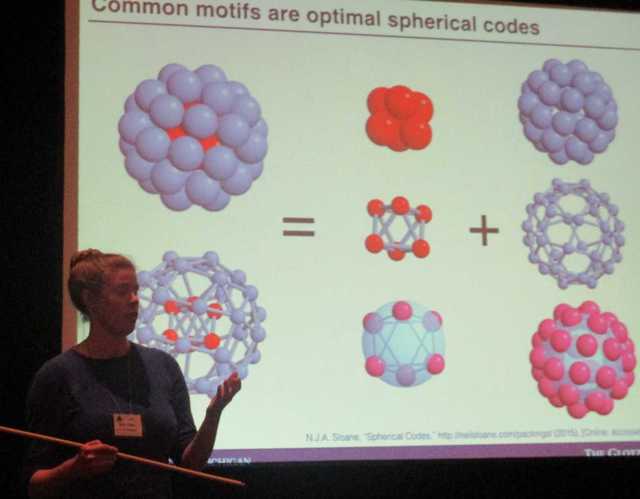 Erin G. Teich: Clusters of Polyhedra in Spherical Confinement. Mathematical Crystallography III. Groups, Lattices, Spaces and Superspaces. Bernd Souvignier, Massimo Nespolo, Mois Aroyo, Jeffrey Lagarias. Mathematical Crystallography III. Groups, Lattices, Spaces and Superspaces. 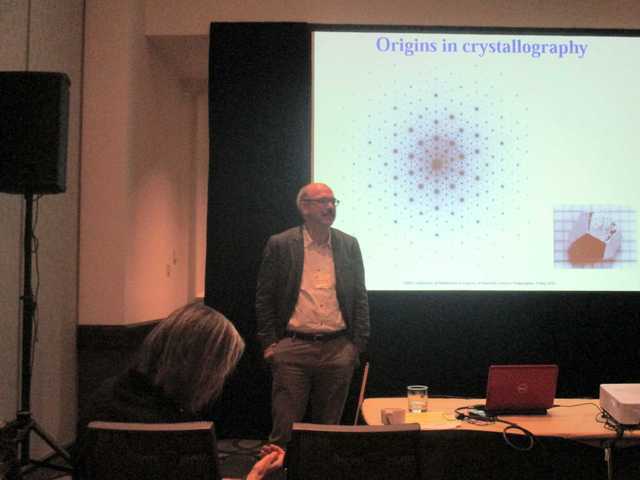 Mois Aroyo: Materials Studies by the Bilbao Crystallographic Server. Mathematical Crystallography III. Groups, Lattices, Spaces and Superspaces. Jeffrey Lagarias: The 12 Spheres Problem. Mathematical Crystallography III. Groups, Lattices, Spaces and Superspaces. 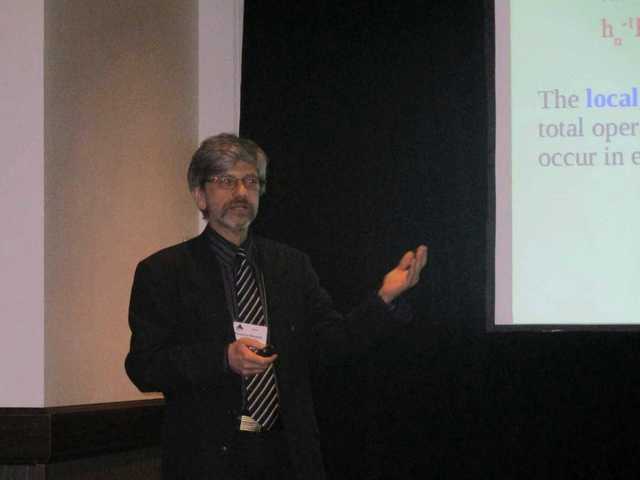 Massimo Nespolo: Applications of Groupoids to the Description and Interpretation of Crystal Structures: The Example of Pyroxenes. Mathematical Crystallography III. Groups, Lattices, Spaces and Superspaces. 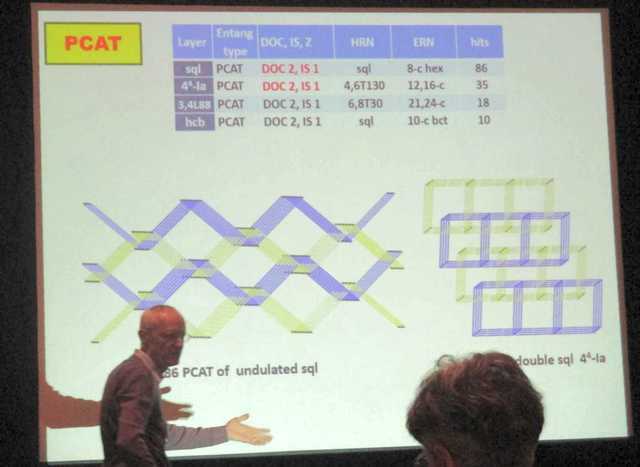 Bernd Souvignier: Recognizing the Lattice Type to Which a Unit Cell (almost) Belongs. Mathematical Crystallography IV. 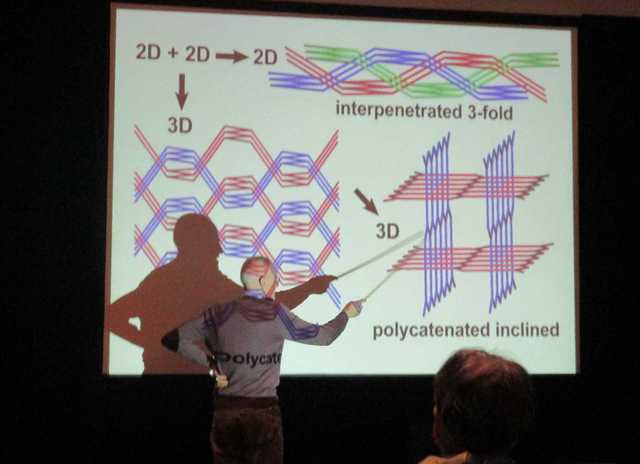 Beyond Crystallography. 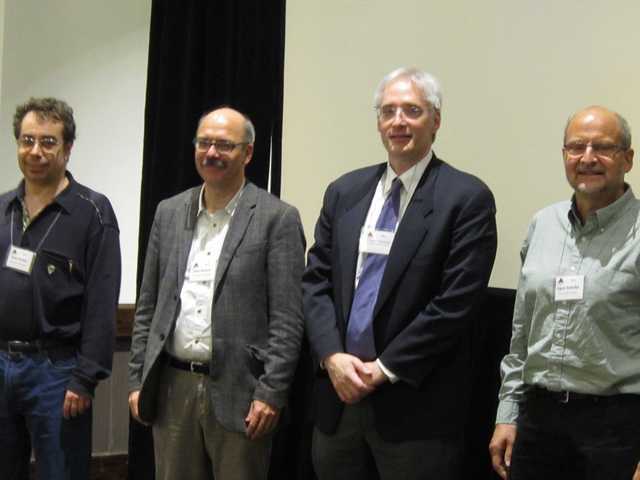 Peter Zeiner, Uwe Grimm, Gregory Chirikjian, Egon Schulte. Mathematical Crystallography IV. 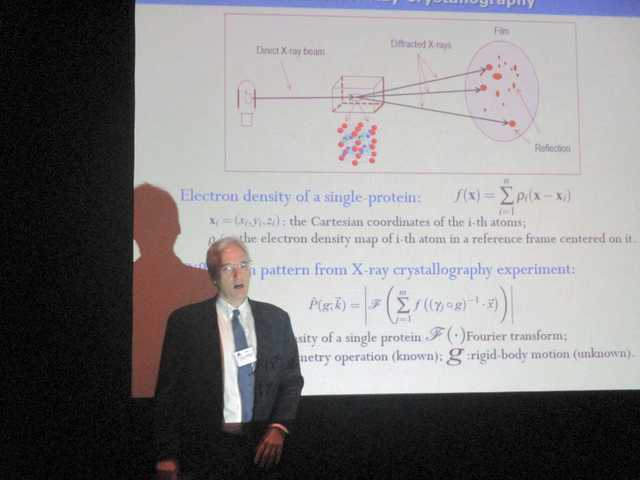 Beyond Crystallography. 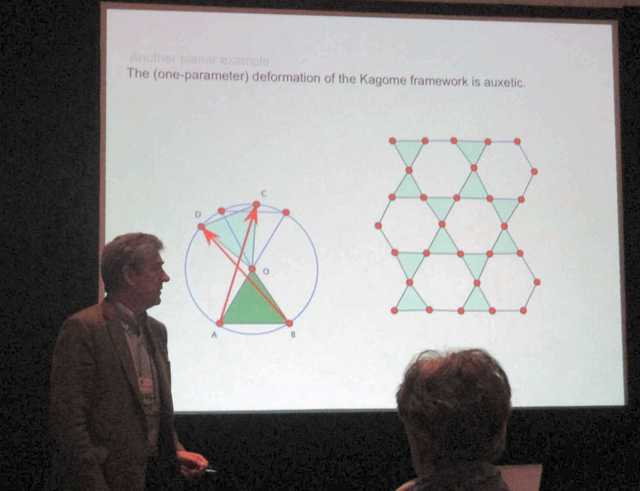 Egon Schulte: Skeletal Polyhedral Complexes and Nets with High Symmetry. Mathematical Crystallography IV. 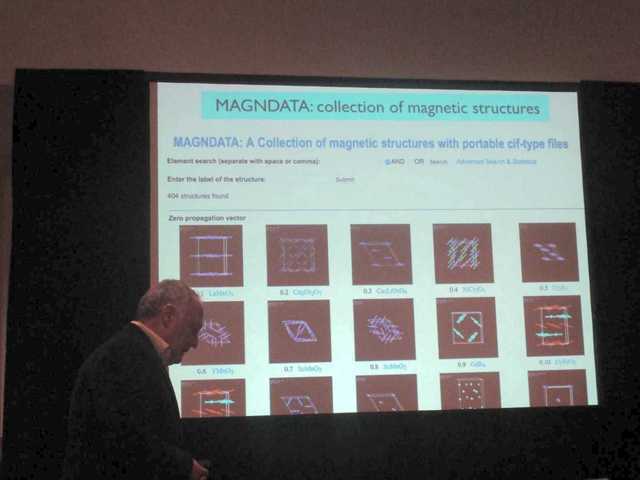 Beyond Crystallography. 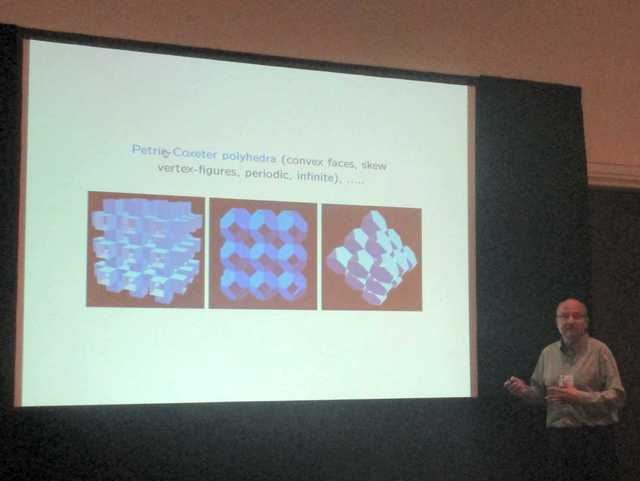 Gregory Chirikjian: Molecular Packing Problems and Quotients of the Euclidean Group by Space Groups. Mathematical Crystallography IV. Beyond Crystallography. 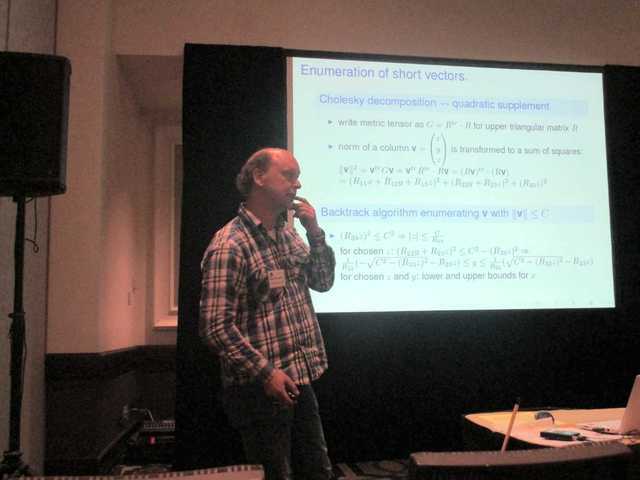 Uwe Grimm: Diffraction and Dynamical Spectra in Aperiodic Order. Mathematical Crystallography IV. Beyond Crystallography. 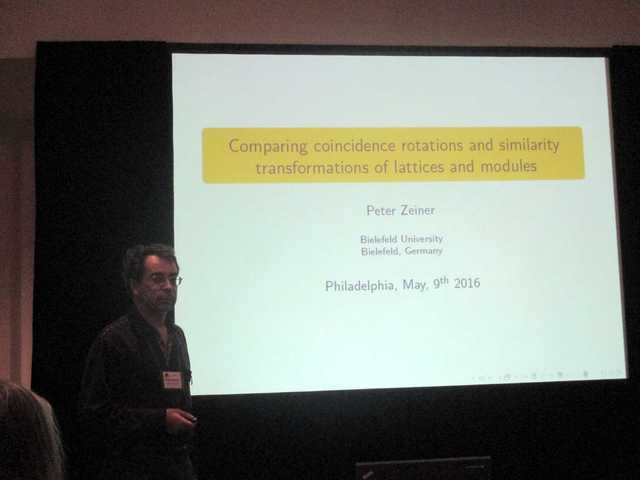 Peter Zeiner: Comparing Coincidence Rotations and Similarity Transformations of Lattices and Modules. 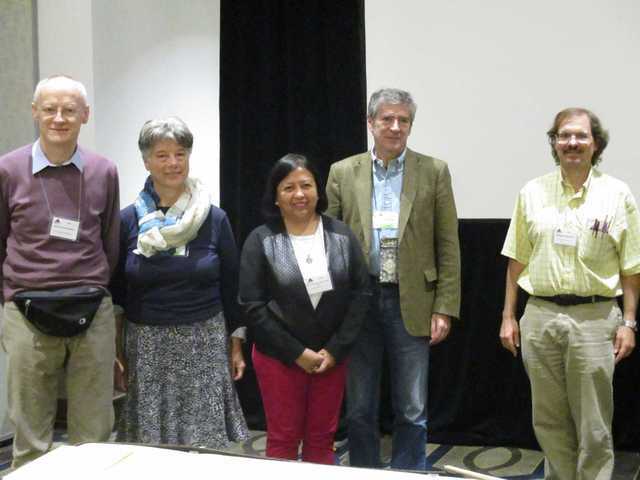 Mathematical Crystallography and Virology: Group and Graph Theoretical Approaches for the Characterization of Viruses Structure. Reidun Twarock.